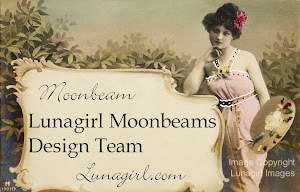 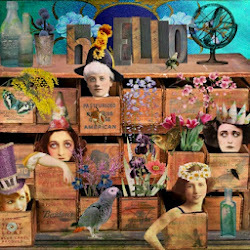 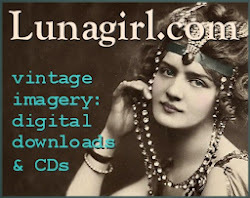 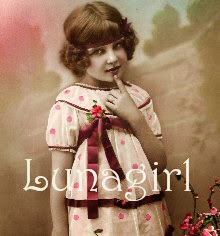 Lunagirl Moonbeams by Lunagirl Vintage Images: Vintage Gardening Inspiration from the Moonbeams DT! 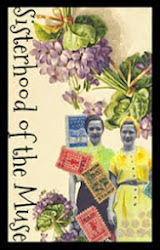 Vintage Gardening Inspiration from the Moonbeams DT! 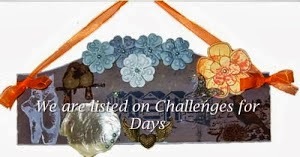 I forgot to add the Design Team pieces to my challenge announcement yesterday! 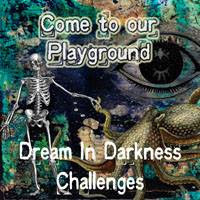 I'm so sorry about that, I know that everyone enjoys them. 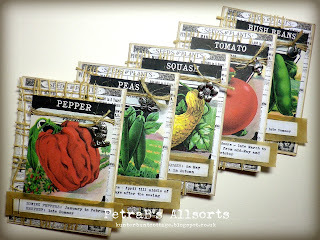 So, here are some beautiful works from Michele, Petra, and Vicki created with Lunagirl summer vegetable seed packs and French flower seed packs and other images and elements. 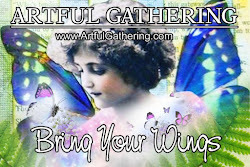 Enjoy, and link up your own! 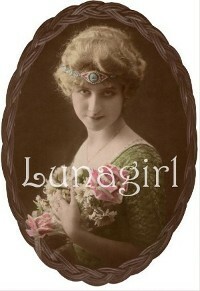 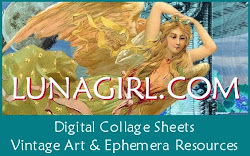 And do follow my blog to see more from the Lunagirl Moonbeams Design Team. 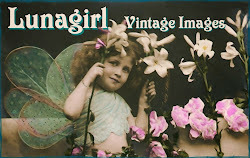 A pretty tag from Michele Storms with lots of cool green and some cute little ladies! 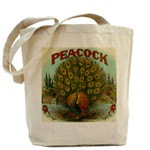 I love this color of green, and the "rays" motif on the tag.
" 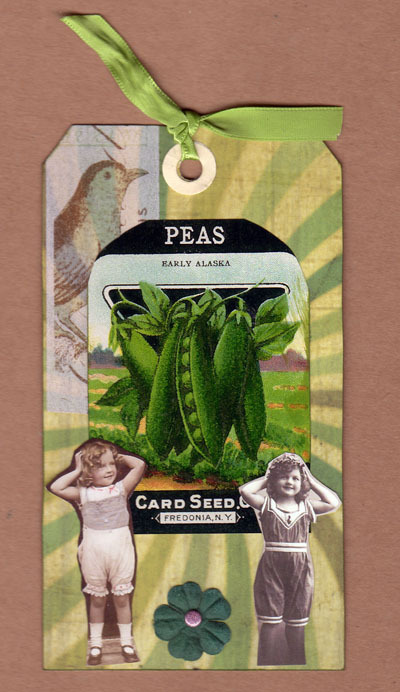 i think we all know what makes children grow – eating peas!this tag shows how peas make little girls grow big and strong.the seed pack is from “summertime seed packs” collage sheet and the little girls are from the “littlegirls” collage sheet, both from lunagirl of course!the rest are goodies of my own.eat your peas! " 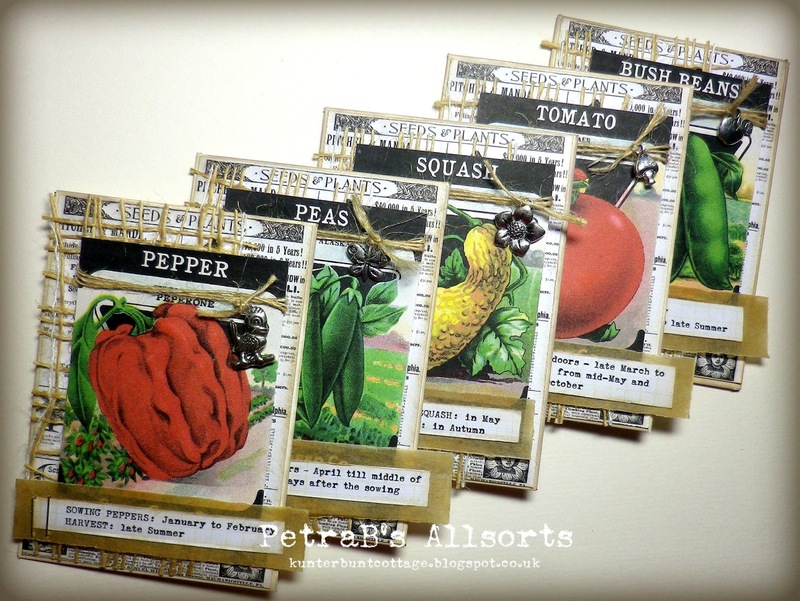 Petra Berendsen created some fab garden themed art using our collage sheets: Summertime Seed Packs and Vintage adverts: Seeds and Plants. 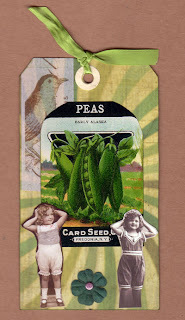 These are nice for saving seeds or marking your garden, or just as art/cards! 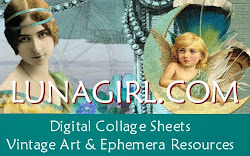 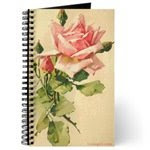 "I used a cream-colored base card on which I placed burnish-looking designer paper. 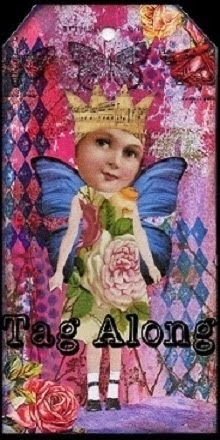 On top of that I used a Cheery Lynn Design die out of cream cardstock. 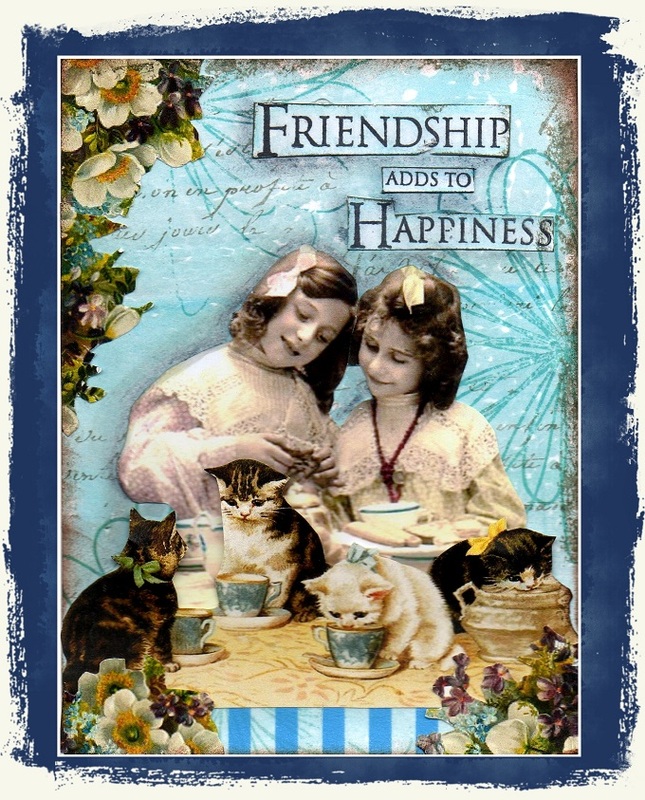 On top of that is a brown embossed piece of embossed cardstock from my stash. 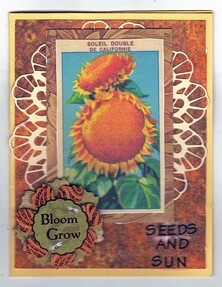 Topping the card layers is a beautiful digital sunflower seed pack image from Lunagirl. 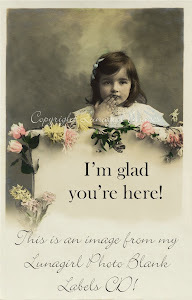 As an added touch a flower embellishment is placed in the corner opposite the sentiment." 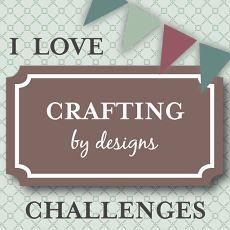 great dt projects for the new challenge!